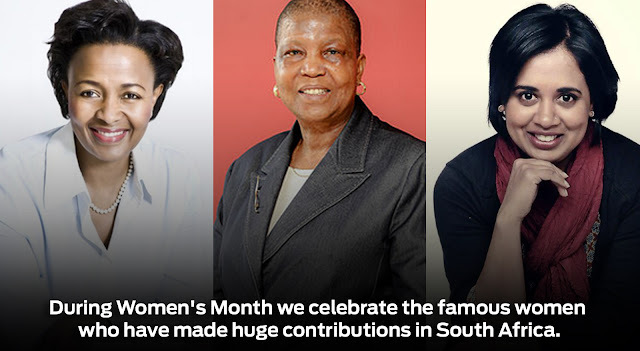 When we celebrate Women's Month it's customary for us to look to eminent South African women who have made significant achievements. The same people are usually on lists of influential women: Thuli Madonsela, Dr Nkosazana Dlamini-Zuma, Charlize Theron, Bridgette Radebe, Natalie du Toit, Maria Ramos... we know their names. So in this Women's Day article I want to focus on three hugely influential women who aren't necessarily household names to the same extent. Wendy Luhabe's significance lies not in the fact that she is one of the most powerful businesswomen in the country who has gone on to become Chancellor of the University of Johannesburg. It's her work as a social entrepreneur that sets her apart. Although rising to the highest levels of business in South Africa, having being chair of the Vodacom Group, she has found the time to start and maintain organisations dedicated to the empowerment of previously disadvantaged women. She started her Bridging The Gap consultancy back in 1992, the aim of which was to impart skills to previously disadvantaged women to help prepare them for the business world. Two years later she launched Wiphold, a women's investment holding that has become a vehicle for tens of thousands of first-time women investors. It also became the first company solely owned by women to be listed on the JSE. She then began a new private equity fund for women-owned businesses and has written a book life and business coaching book, Defining Moments all profits from the sale of which go into a fund for the upliftment of women. Salukazi Dakile-Hlongwane is an unassuming career economist who has dedicated her career to women's development in Africa. It's a cliché to point to humble beginnings, especially when they are so commonplace in our country, but it's once again true of Dakile-Hlongwane. Her father was a civil servant and her mother sold dresses in their Soweto neighbourhood. It was education that opened all the doors for her. She went to school in Lesotho and then to university in the USA, majoring in development economics. She then founded Nozala investments in 1996, along with Jean Ngubane and Dawn Mokhobo, aimed at women's economic advancement. It has supported 10 women's empowerment groups since then, and controls a trust that helps people to start businesses in impoverished areas. She has also worked for the African Development Bank, SADEC and FirstCorp, and is a director or MultiChoice Africa. Not a name that many people know, but Nambiar has spent decades deeply involved in social entrepreneurship – specifically helping to meet one of the most pressing needs of our developing economy: starting and sustaining small businesses. She is currently the founder of the Enterprise Development Academy at the Gordon Institute of Business Science (GIBS) and the University of Pretoria Business School. However, this just scratches the surface of her contribution to education in this country. Her focus at GIBS is on providing scholar-ship based business education and support to small business entrepreneurs. In just over two years her unit has worked with over 1 000 entrepreneurs, from IT start-ups to spaza shops. Previously in her career she was a member of the team that developed our country's National Youth Development Strategy, and the working group that created the Code of Governance for the non-profit sector of South Africa.